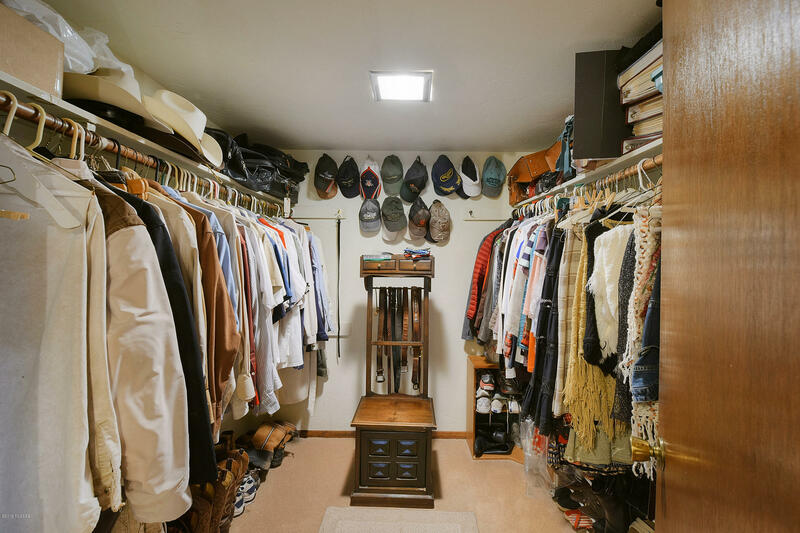 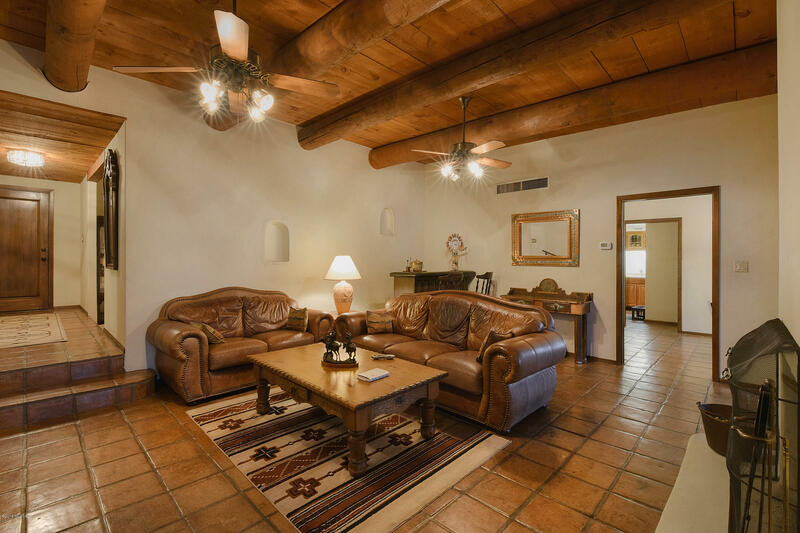 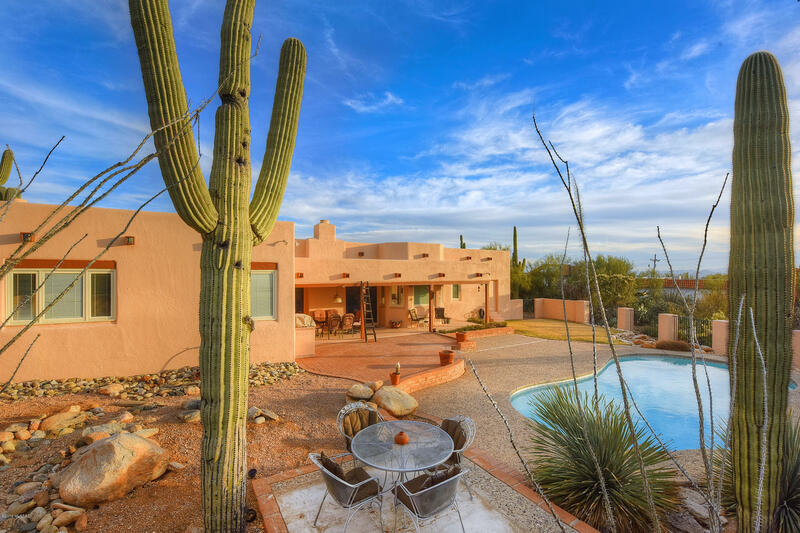 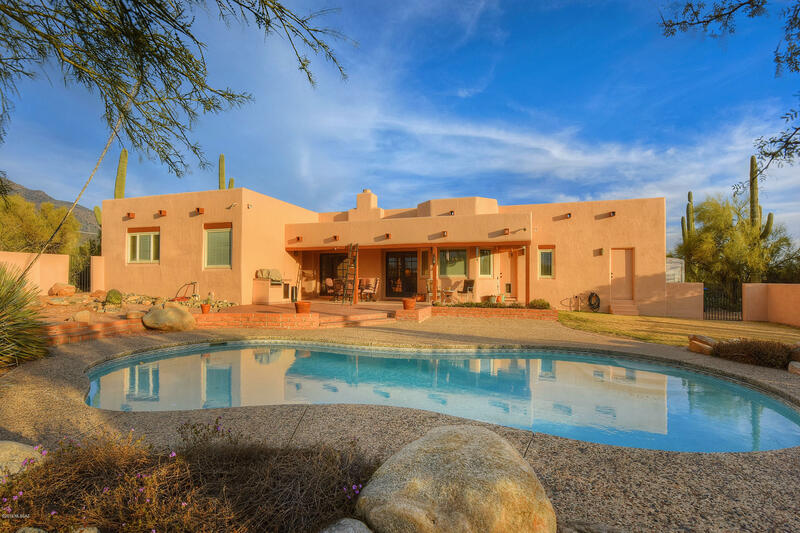 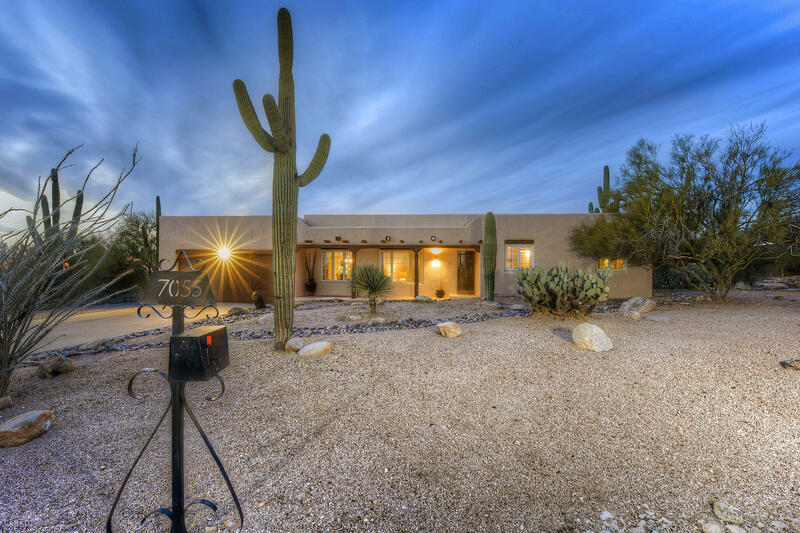 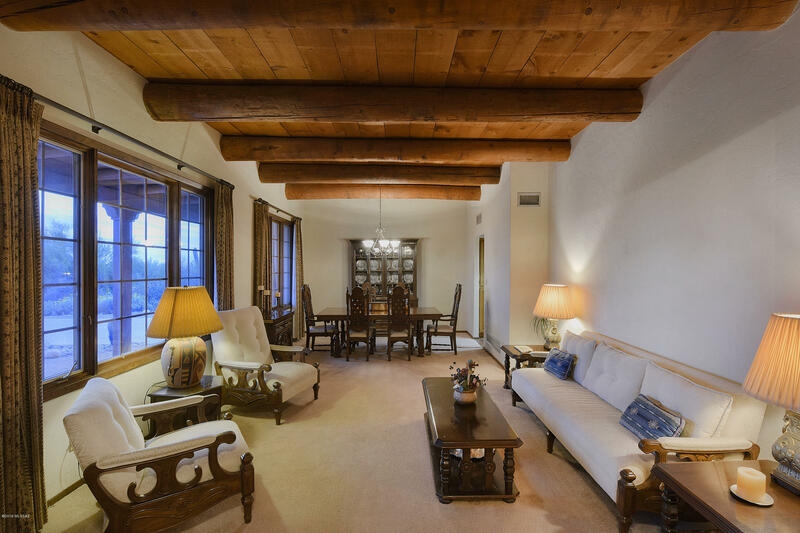 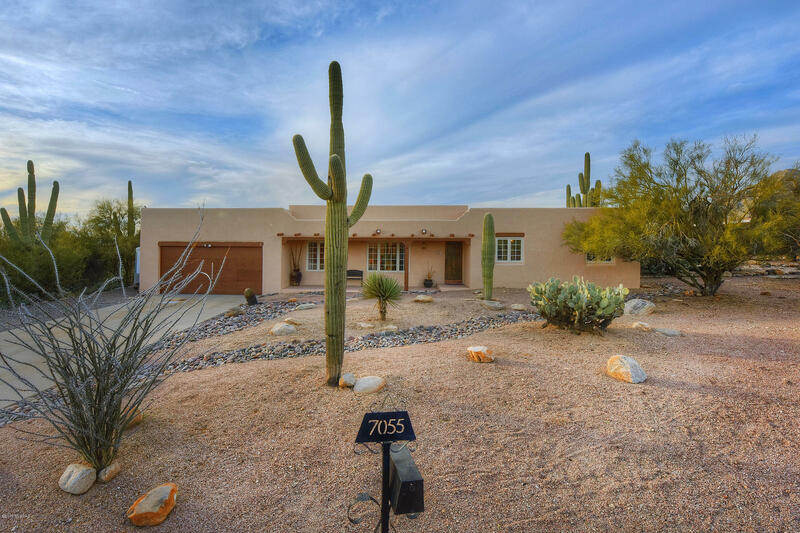 Charming District 16 Southwestern / Santa Fe home with sparkling pool. 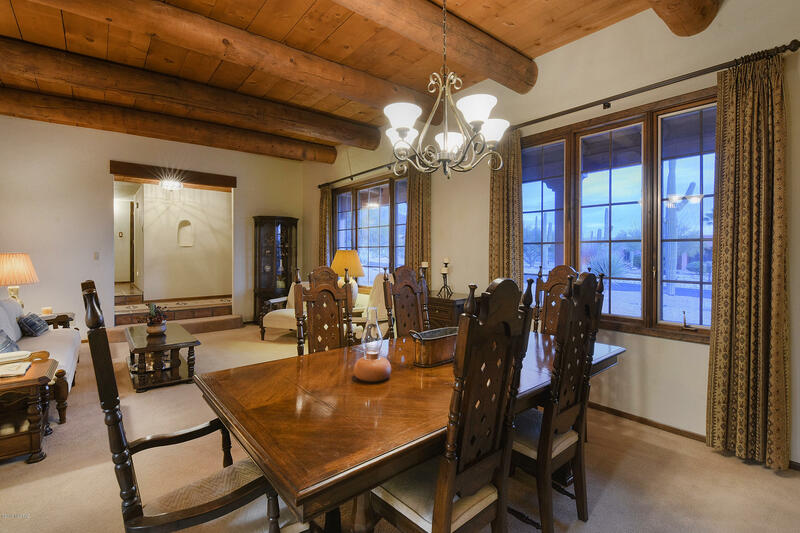 Four bedrooms, four bathrooms and a nice floor plan with beam and cedar ceilings in living room, family room, and dining room. 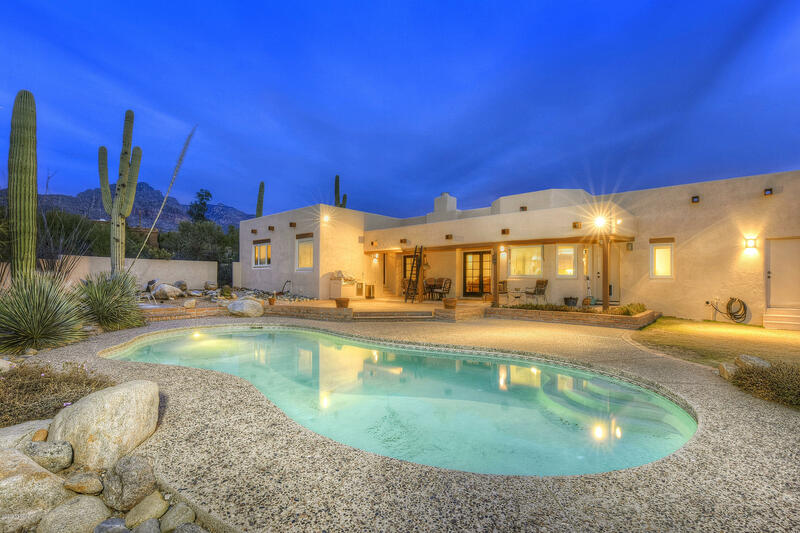 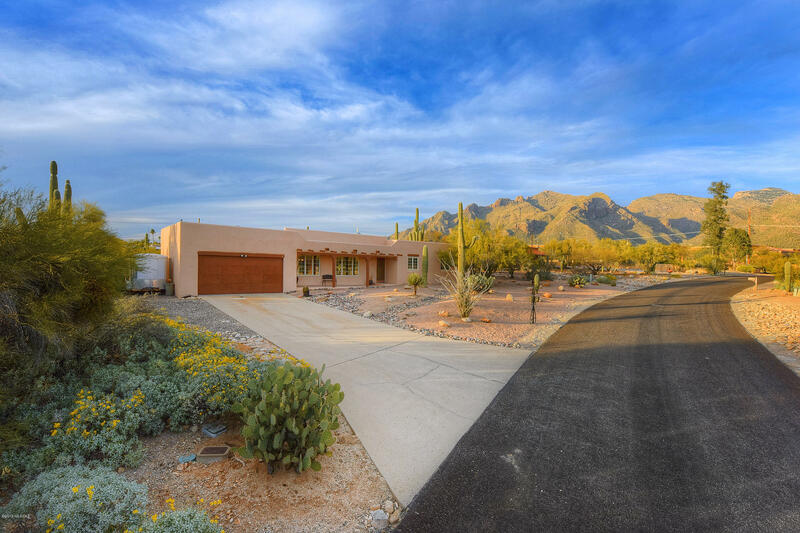 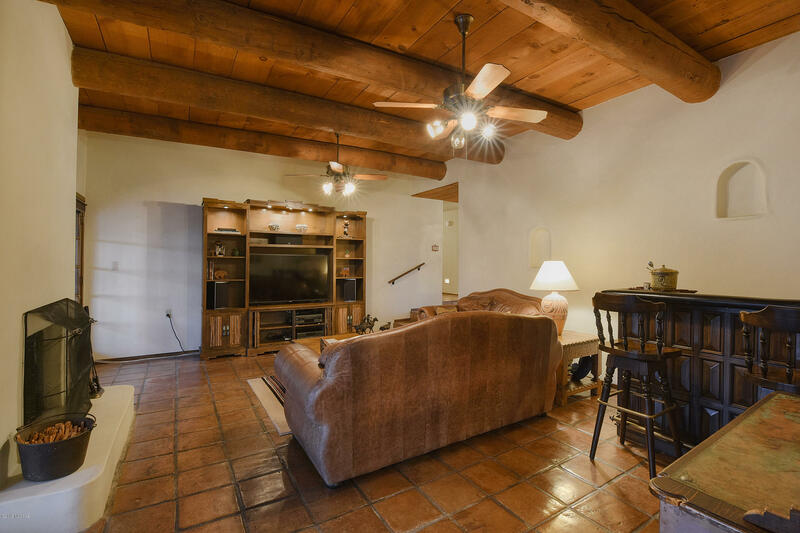 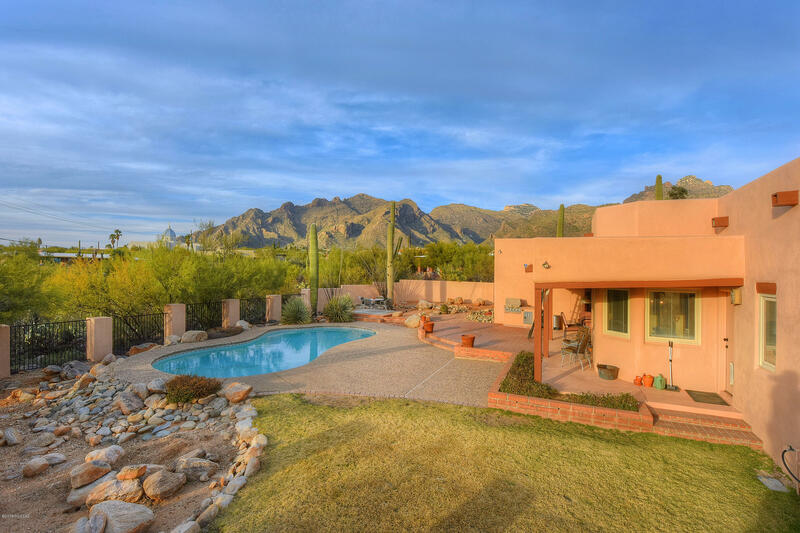 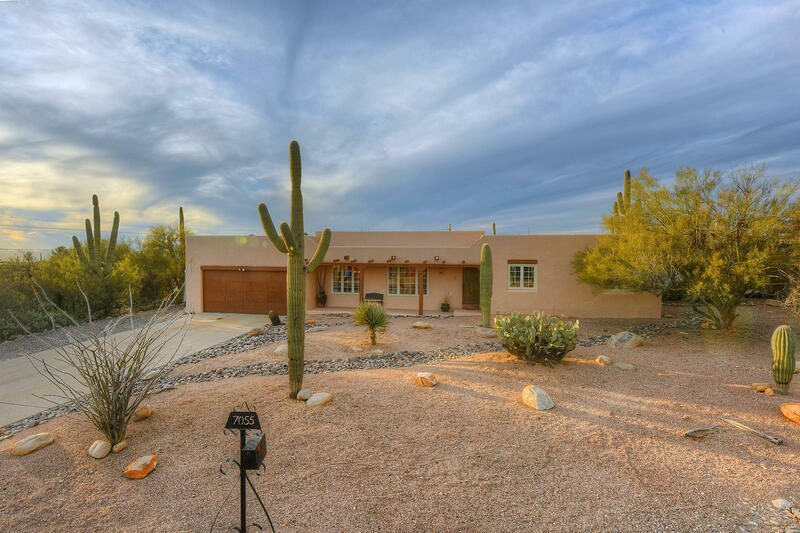 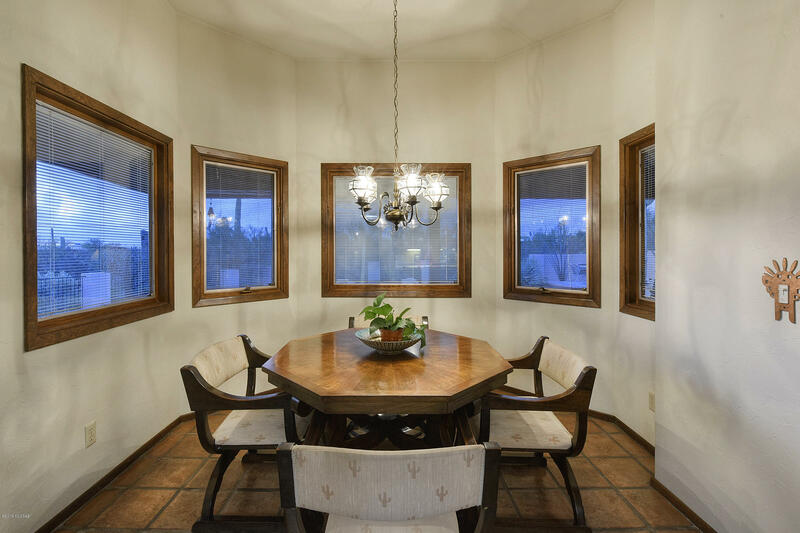 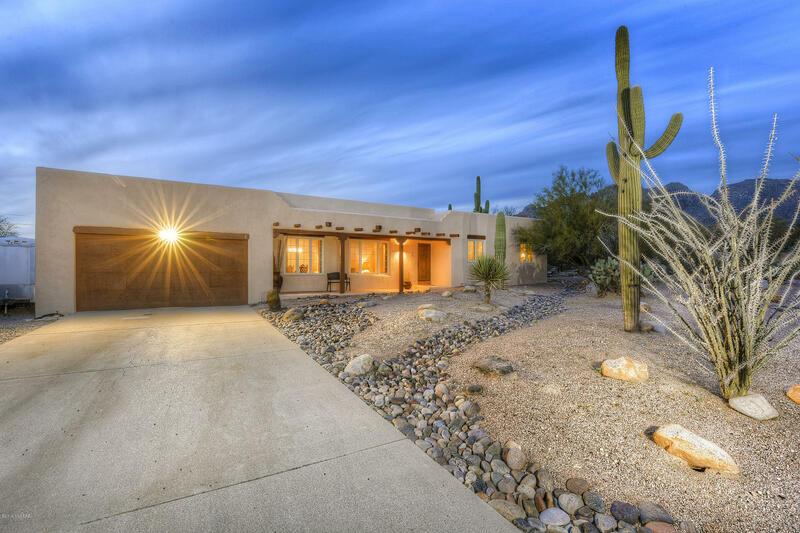 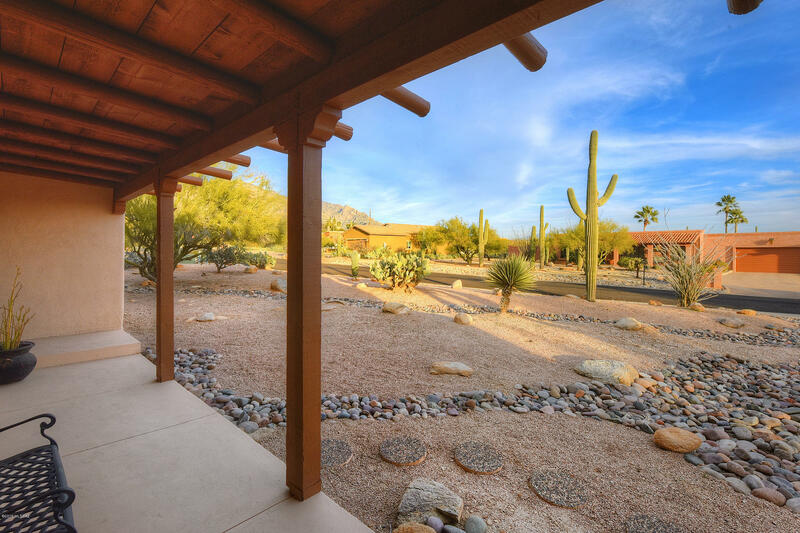 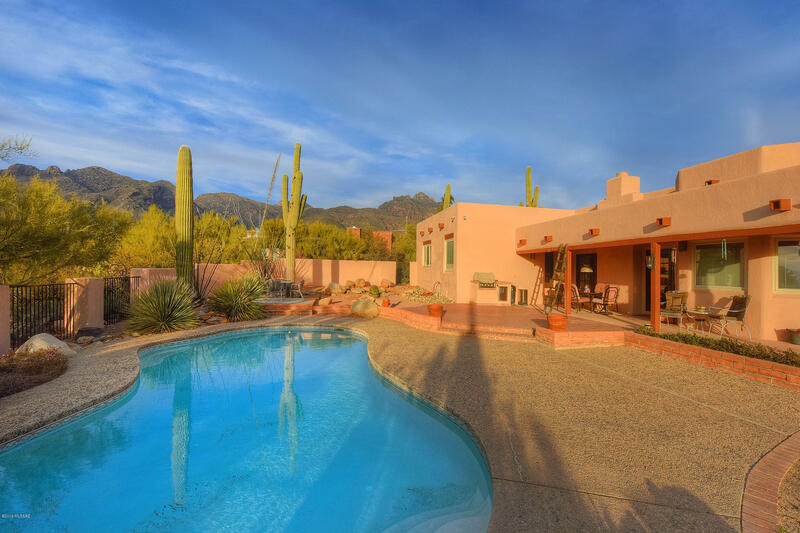 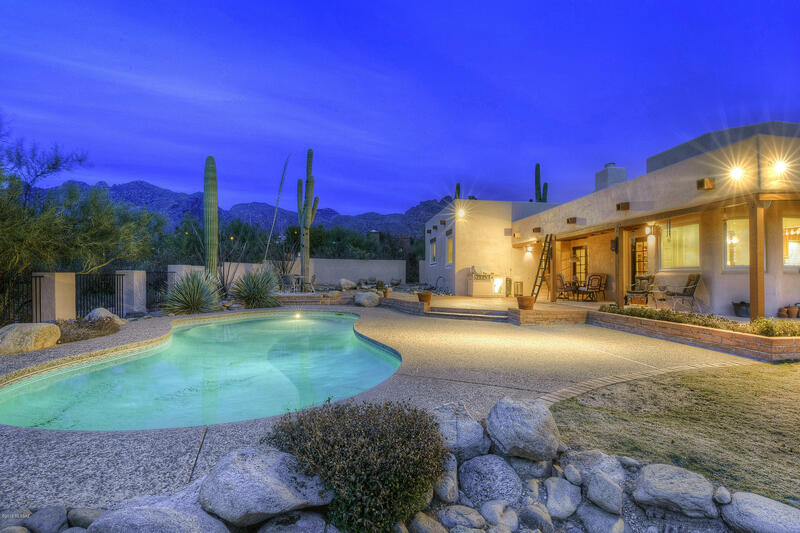 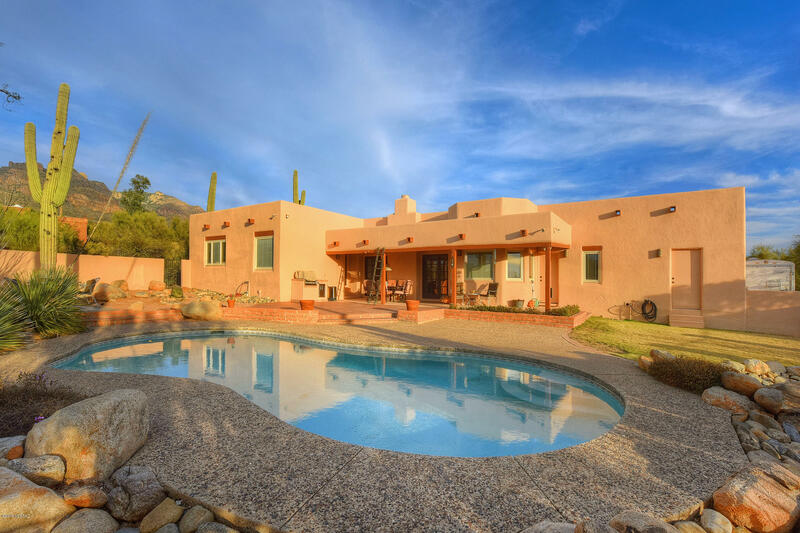 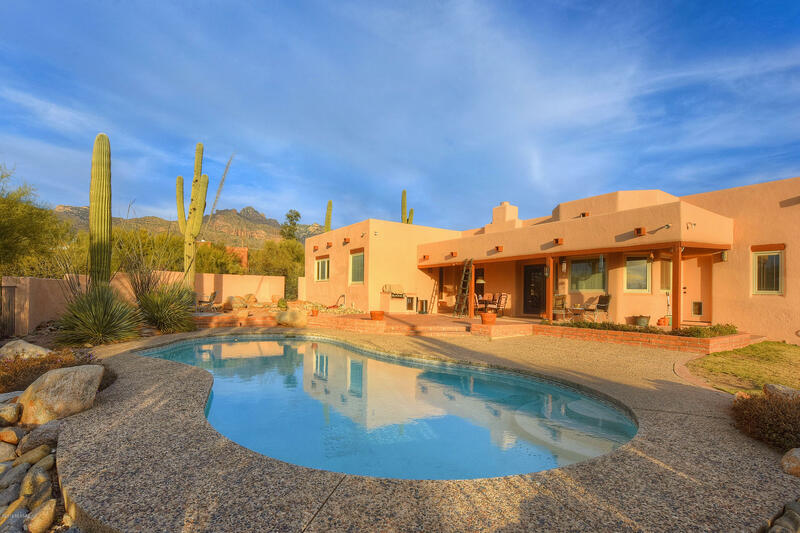 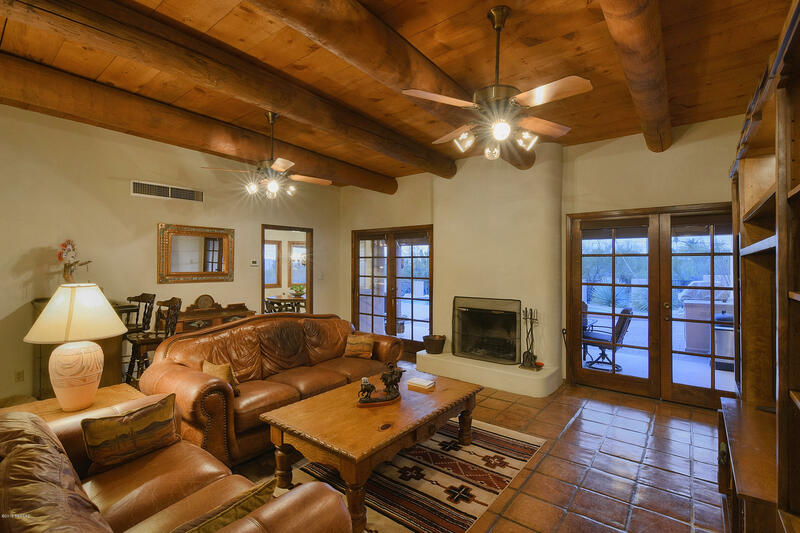 French doors and access to covered patio in backyard with majestic Santa Catalina Mountain views. 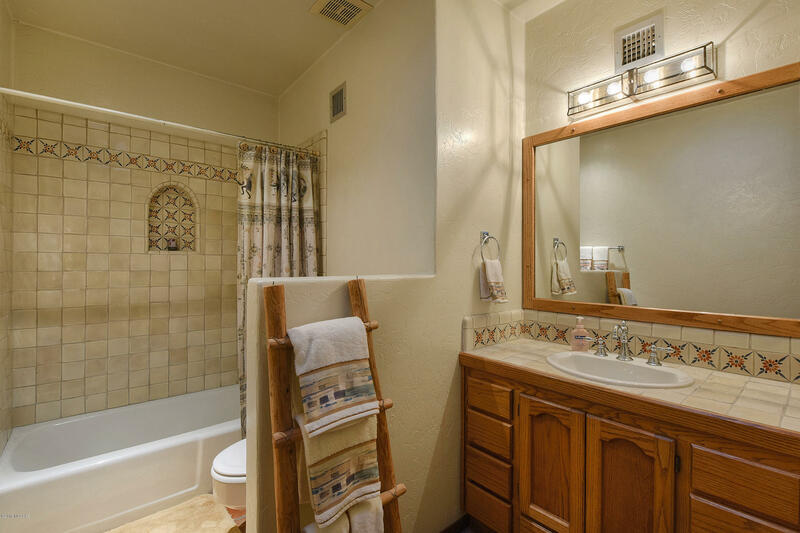 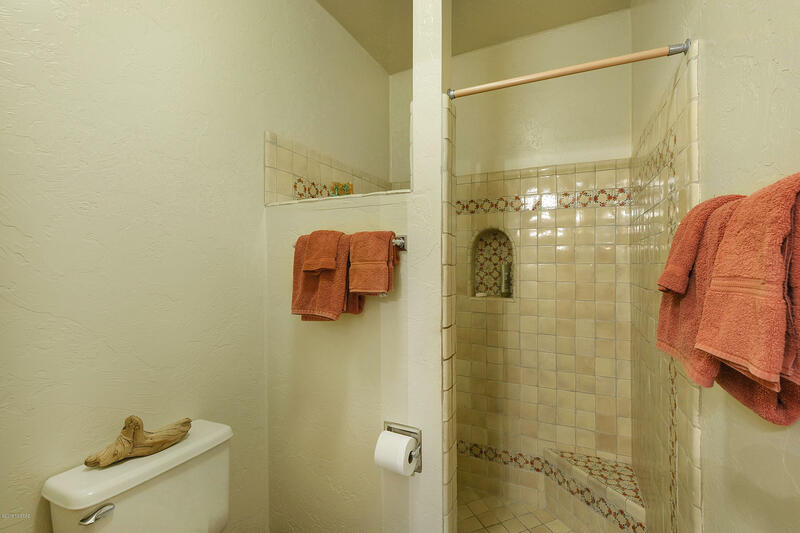 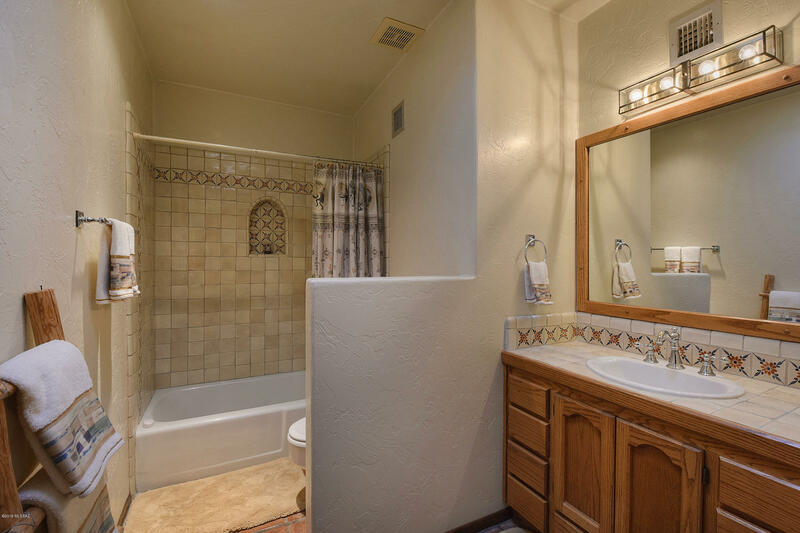 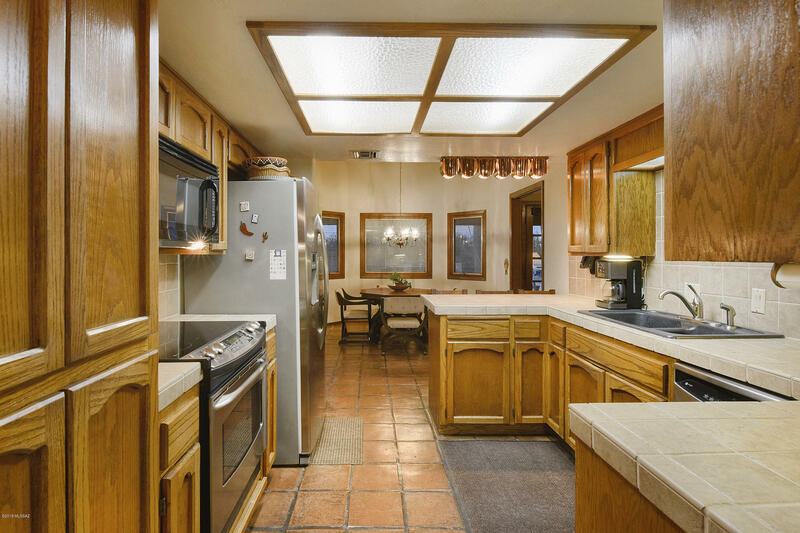 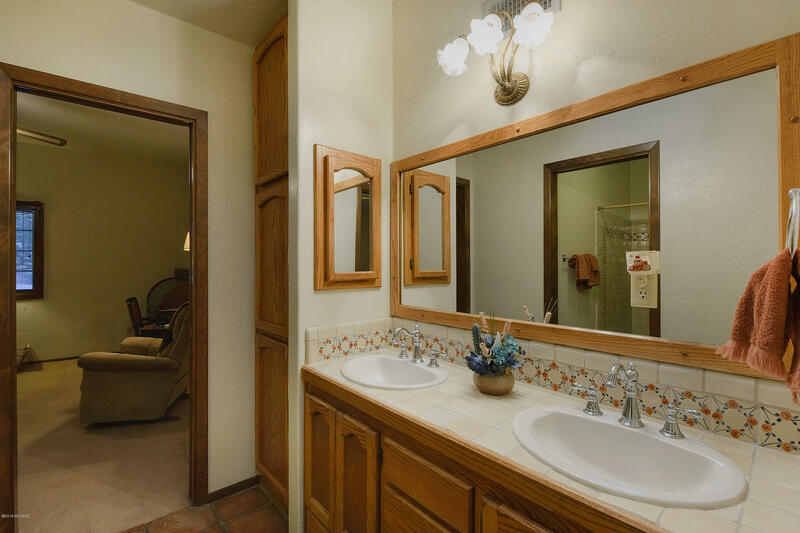 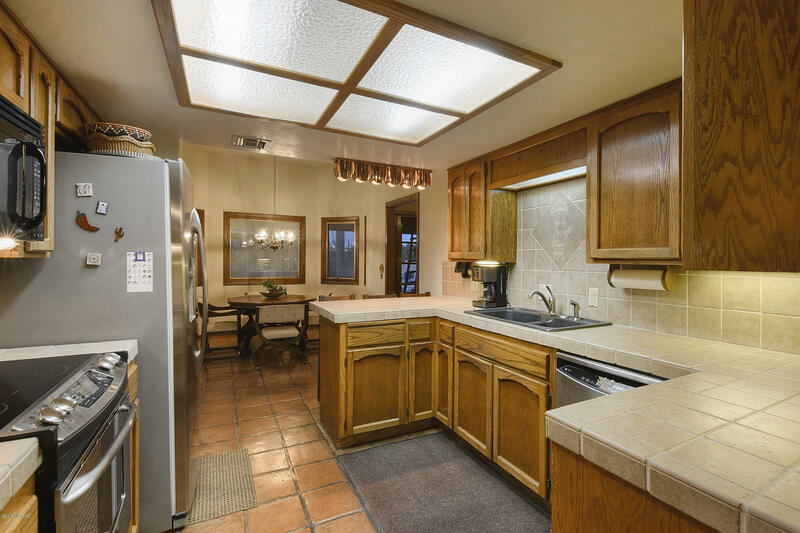 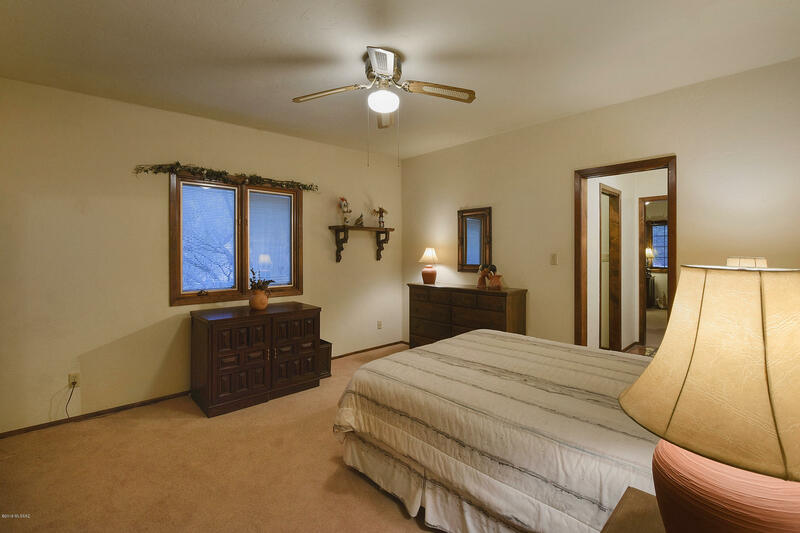 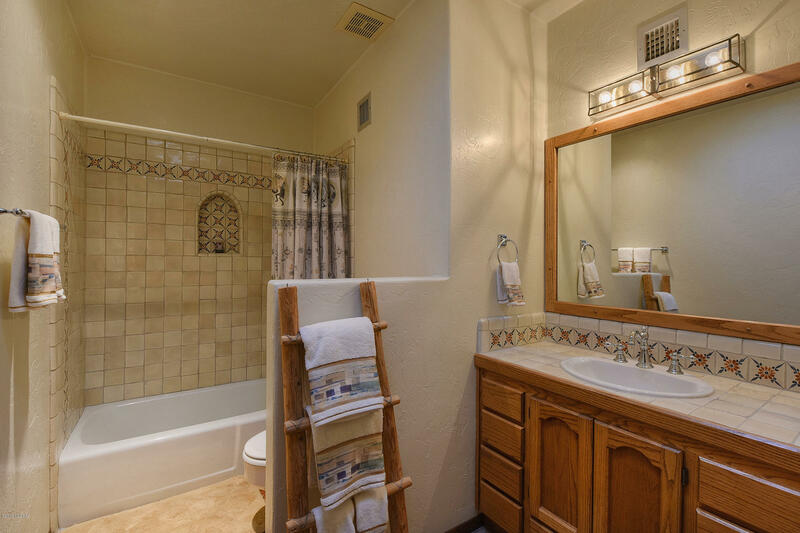 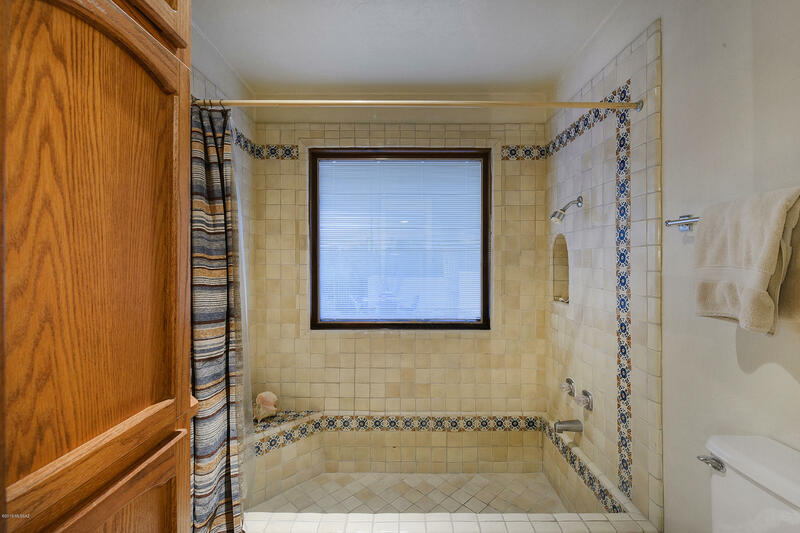 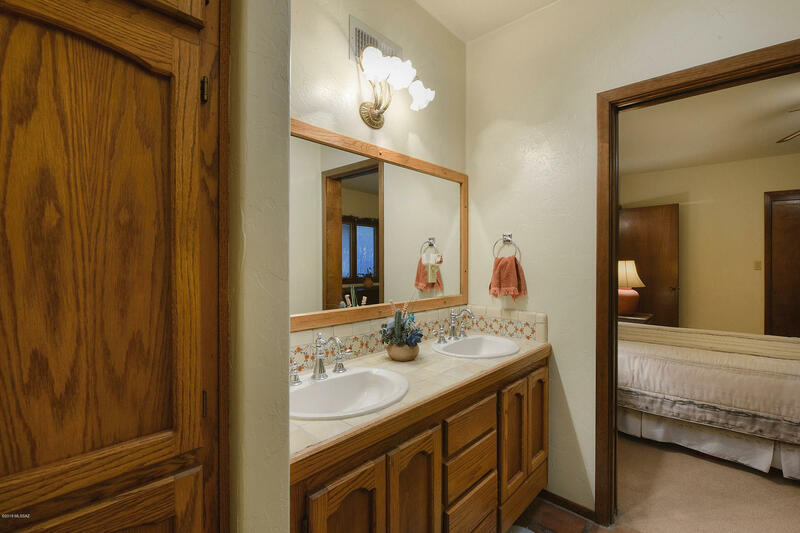 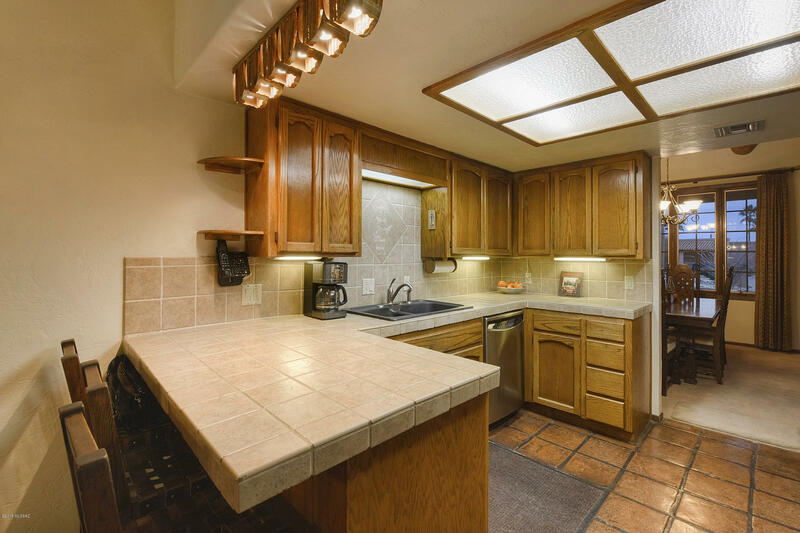 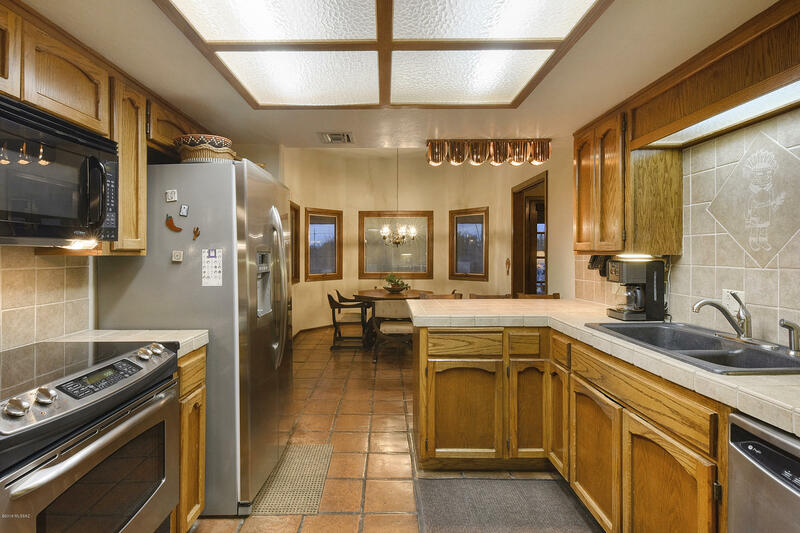 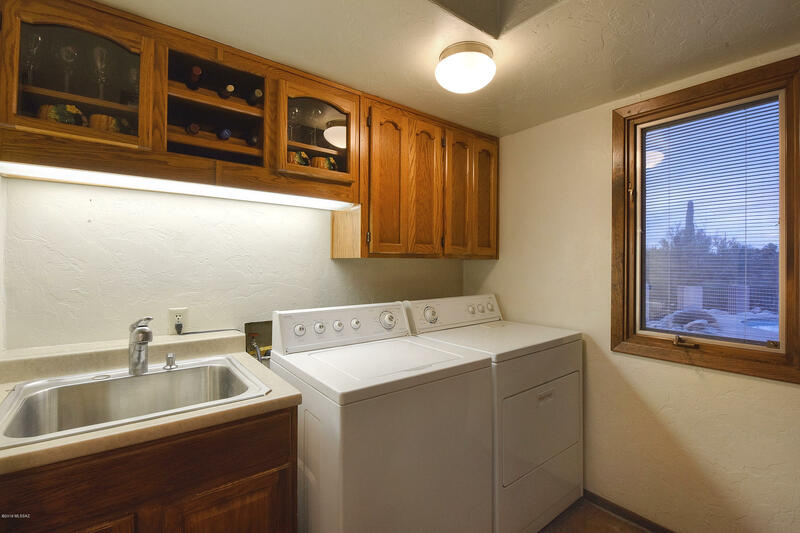 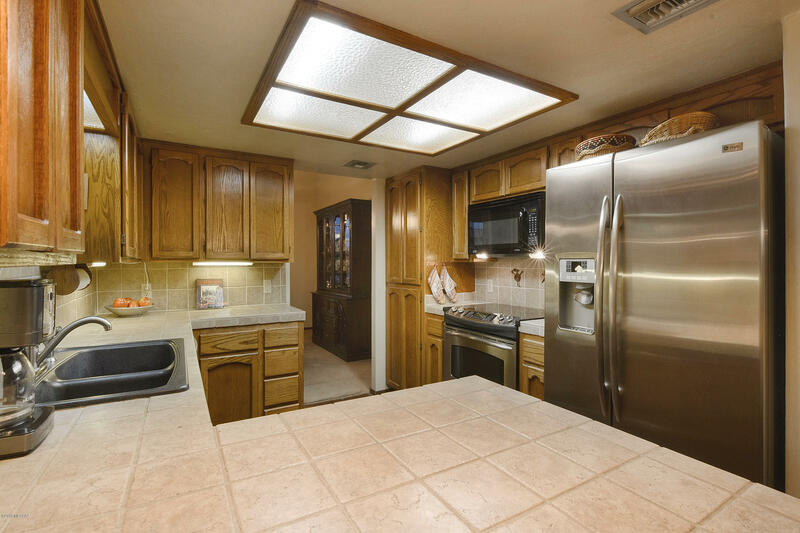 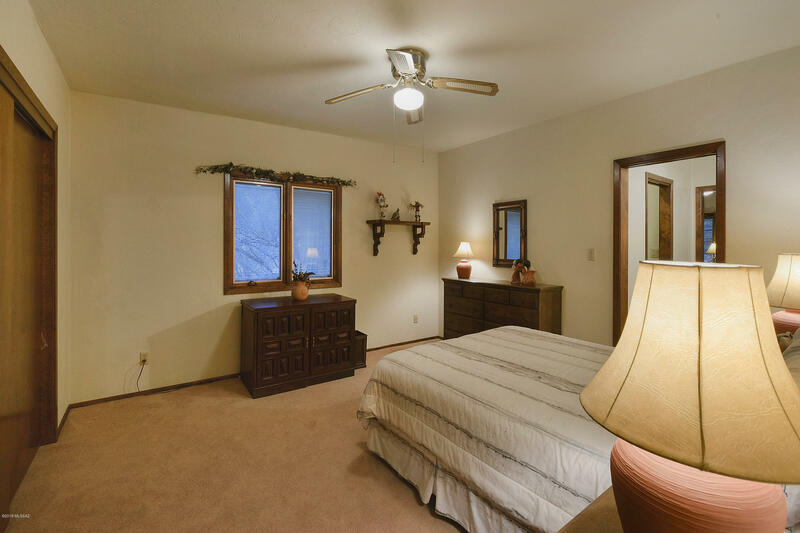 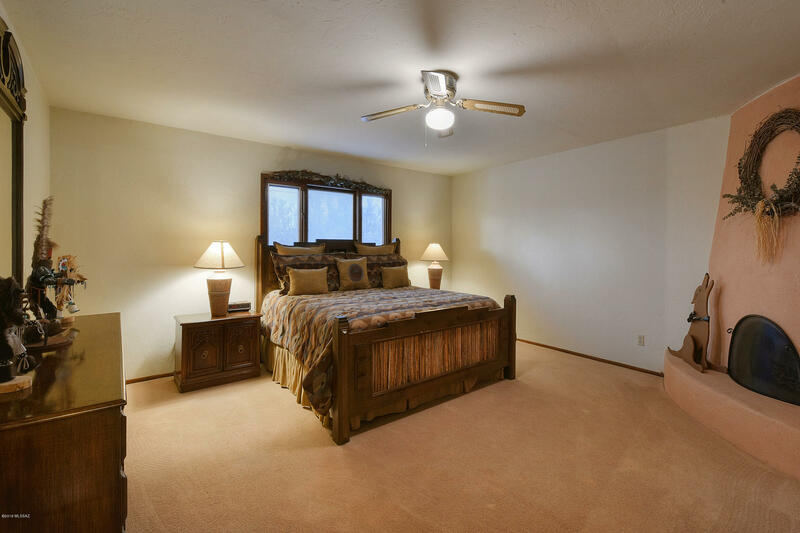 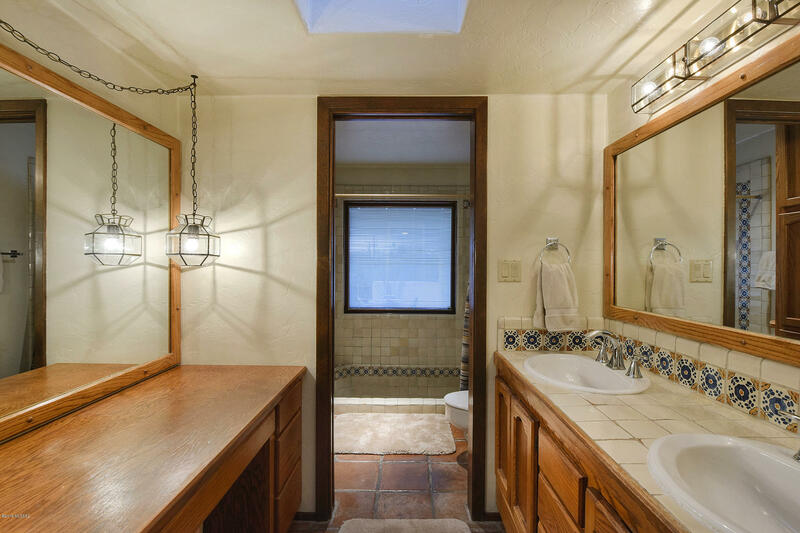 Jack & Jill bathroom, Pella windows, Mexican tile, two wood burning fireplaces, plenty of storage and pride of ownership make this a desert gem. 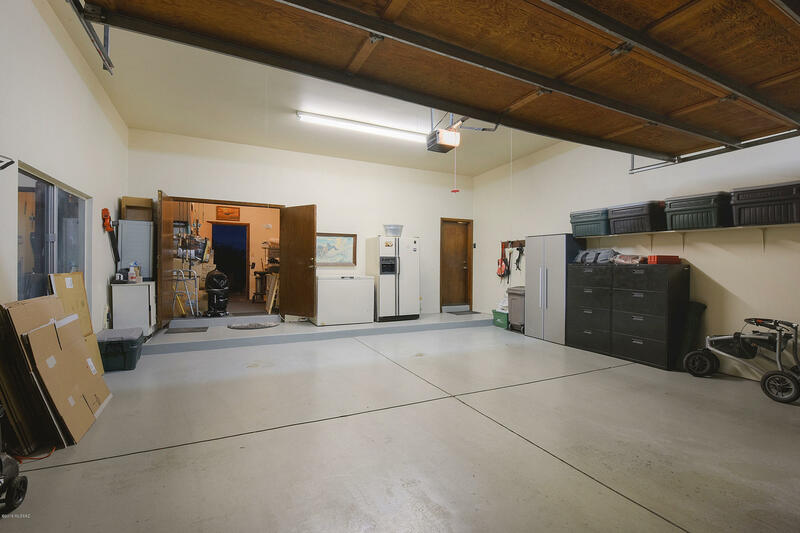 Storage, work bench area off garage, extra parking off of driveway near garage, built-in BBQ, newer water heaters, Two HVAC and two evaporative coolers, new roof coating and exterior paint. 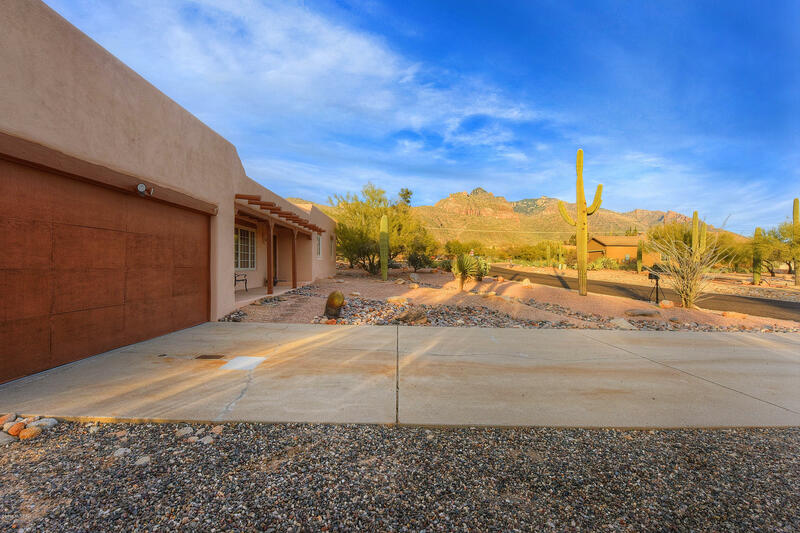 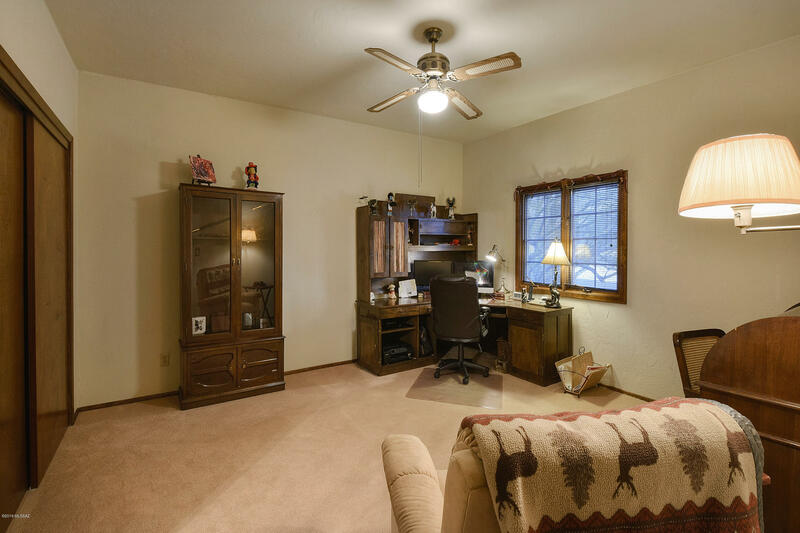 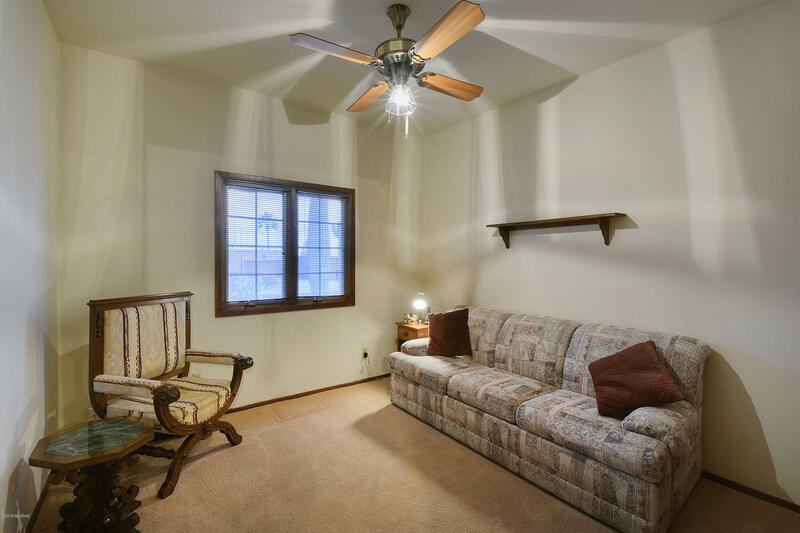 Fantastic location with easy access to stores, schools, restaurants, shopping, and more on a cul-de-sac street. 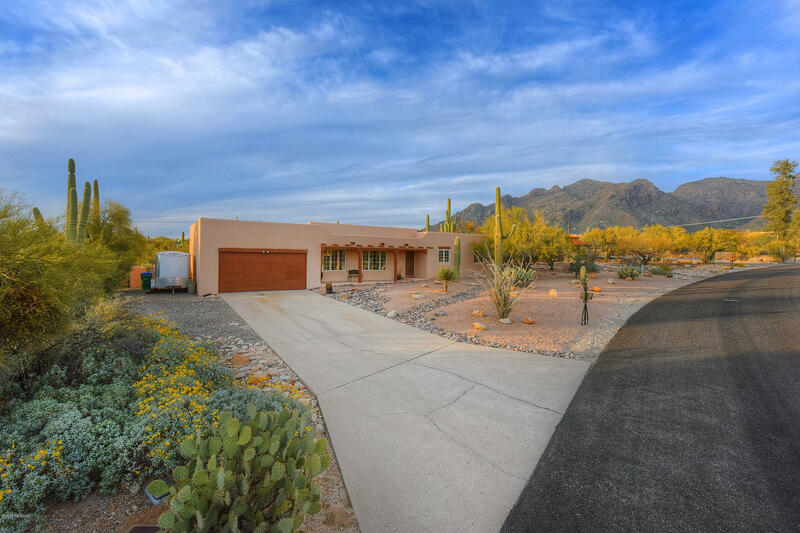 Directions: Skyline and Pima Canyon Rd, east to Doane Dr., south (right) to address.